Faithful readers will recall my speaking of friend Vickie Henderson, she of the fabulous art who came to visit last January for the Space Coast Birding and Wildlife Festival and again in July to learn about sea turtles. When she came in June, she brought me some beautiful cards based on her field journal artwork, and now she sells them on her web site (see Reference Links below). 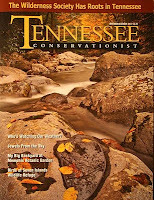 Vickie lives in Tennessee, and a recent post on her Sketchbook blog tells about an article in the Tennessee Conservationist featuring her art and photographs. Beautiful stuff! You'll want to take the time to wander through this blog - some amazingly beautiful photos and sketches. And speaking of the Space Coast Birding and Wildlife Festival (January 26 - 31, 2011), friend David McCree is once again blogging professionally about it. His current post (see Reference Links below) is about a nature bloggers' luncheon at the Festival! What a cool idea. When you think about it, blogging has not been mainstream for very long - there were precursors in 1997-98, then the politicians picked up on it in the early 2000's, and it started becoming more popular with "the masses" in the 2004 timeframe. My first blog post was in May 2008, and I remember having to explain the term "blog" and the concept to folks. So the nature bloggers' lunch at the Festival should be interesting indeed. I'm so glad my friends are doing wonderful things - I'm on the work/laundry/grocery shopping/work/pay bills/clean the bird cages cycle and have done nothing particularly noteworthy recently (except pick four ripe tomatoes today). Thank you, Marge! And thank you for hosting and arranging these two special visits for me. Florida is a spectacular place to experience nature, and sharing those explorations with your naturalist friends exceeded all my expectations. I still have plenty of inspirational material from my visits that I'm looking forward to painting. ps. I envy those home-grown tomatoes!